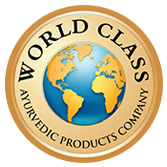 Speeddwell Botanical, a world class Ayurvedic Products Company, which has committed itself to solving Permanent Scalp Issues Such as dandruff, unexpected hair fall due to pollution and premature grey hair, etc. It also helps you combat split hair ends caused by the lack of nutrition to the hair and loosing hair softness caused by atmospheric and water changes. You lose hair mainly because the living cells in the hair matrix get dehydrated, die and condense into a dense hard mass. Massaging with TRIPURA herbal oil helps the oil penetrate into the dermis, the skin layer just below the surface layer and the subcutaneous fat and supports the growth of new hair in the hair matrix at the base of the hair follicle. Take sufficient quantity of Tripura herbal oil and massage/rub it into the scalp and into the roots thoroughly for 5 to 10 minutes. It will help you feel more refreshing and good. You can repeat the same at least once in day regularly as it is aromatic, hassle-free & does not have any side effects. For best results wash your hair with Herbal / Ayurvedic shampoo.